Do not eat shark, swordfish, king mackerel, and tilefish (fish eat fish, that eat fish…the highest methylmercury concentrations are found in large species at the top of the food chain). Limit yourself to 1-2 meals of low mercury seafood per week. Some low mercury seafood options are shrimp, salmon, pollock, and catfish. Canned light tuna is also low in mercury, while albacore or white tuna typically have higher levels. 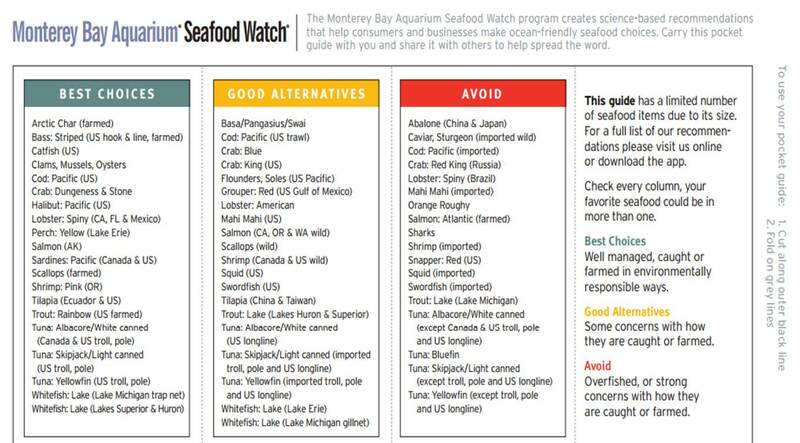 Check local fish consumption advisories through your state Environmental Protection Agency.